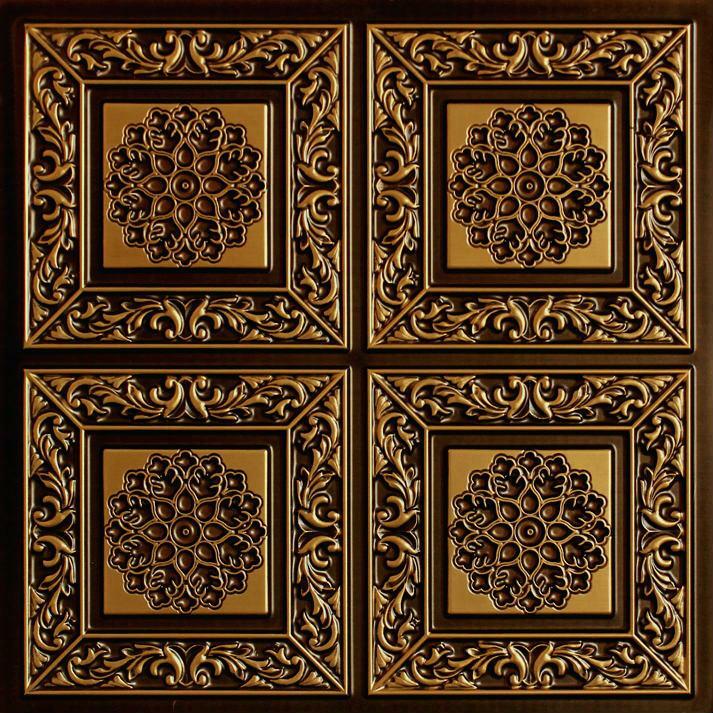 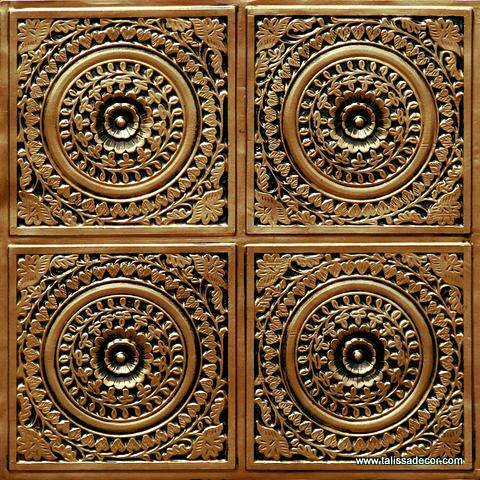 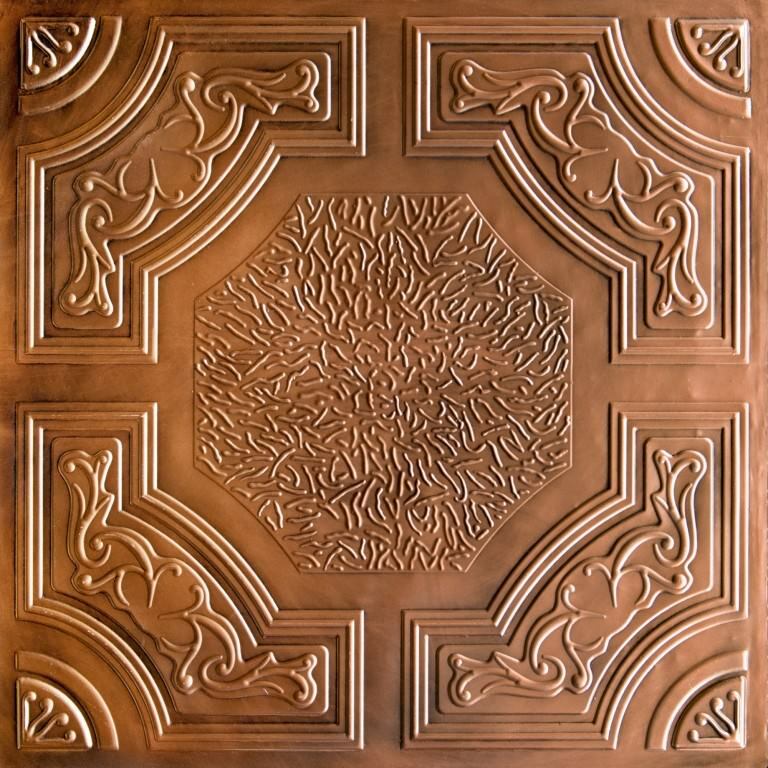 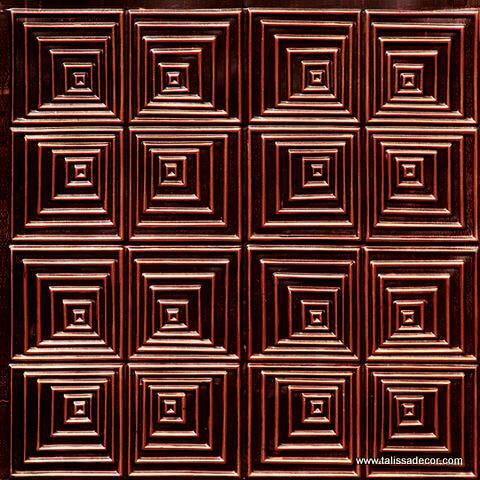 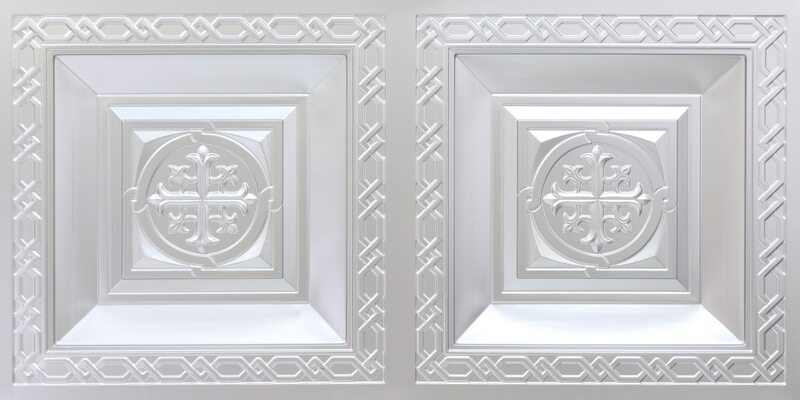 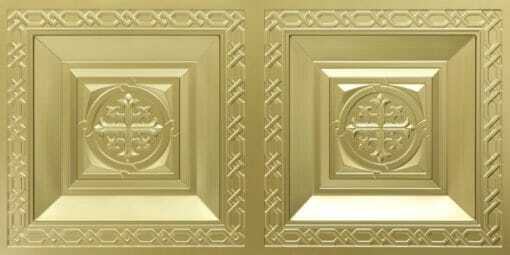 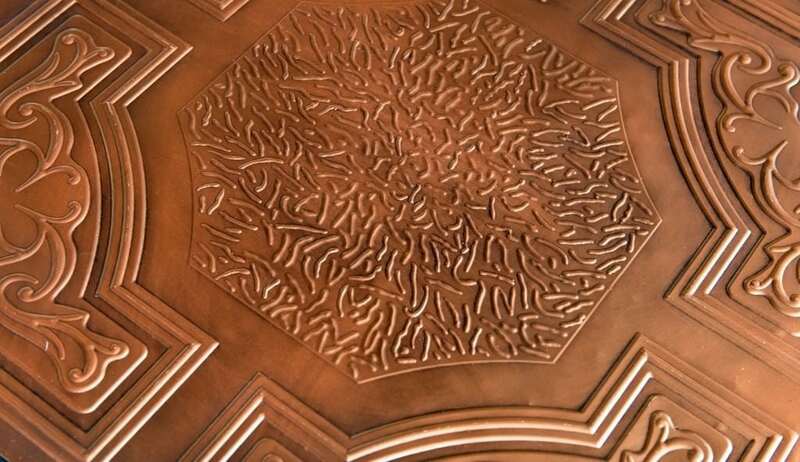 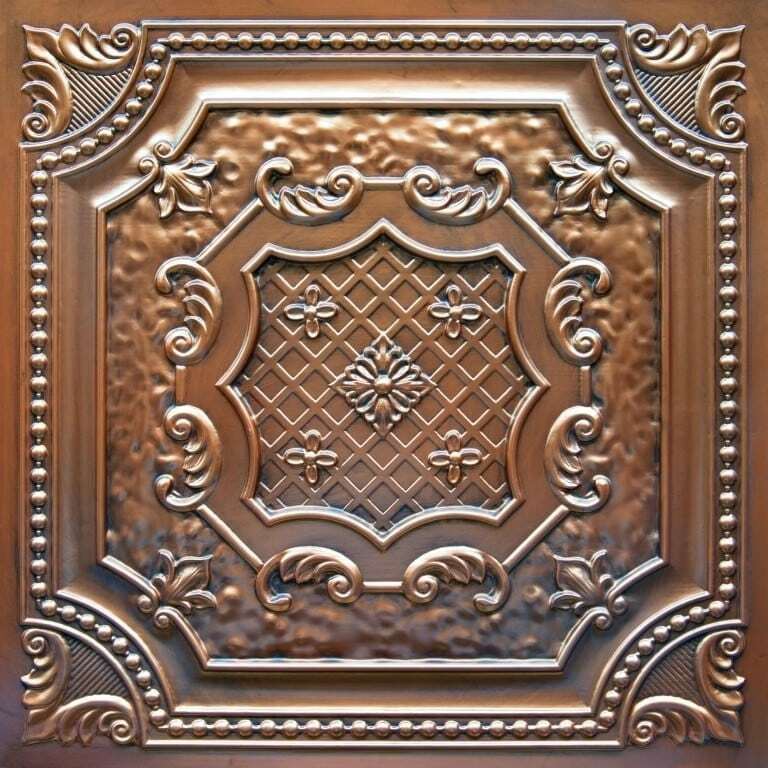 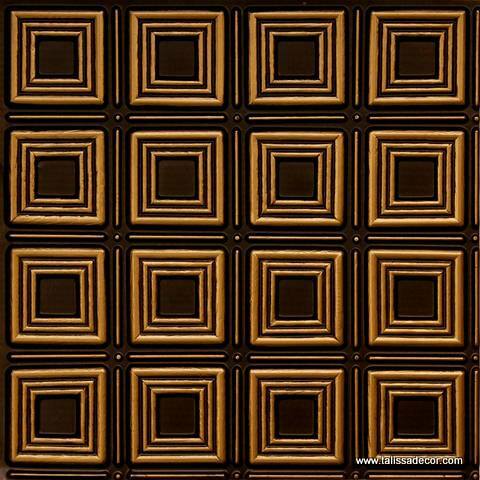 Whether your room is decorated in true antique or stunning medieval style, these ceiling tiles are just what you need to bring it all together. 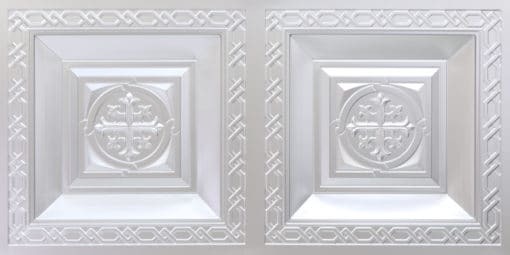 Hide an old or damaged ceiling without making any significant commitments when you choose our PVC ceiling tiles. 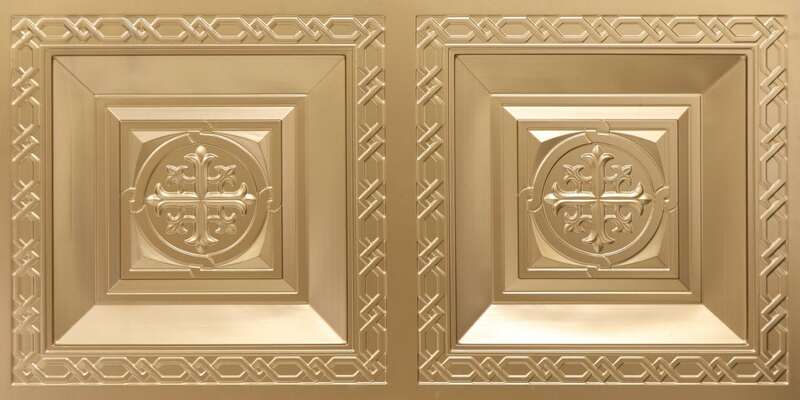 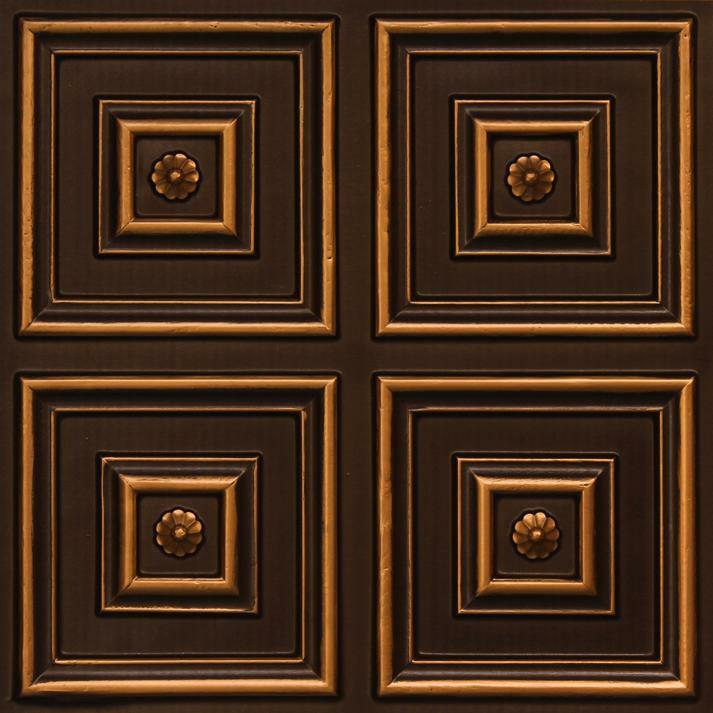 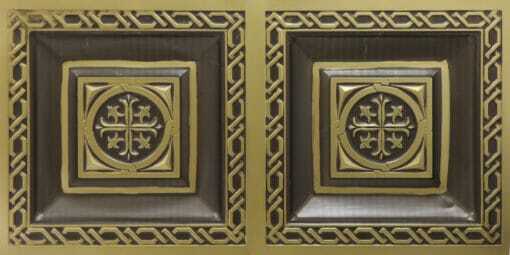 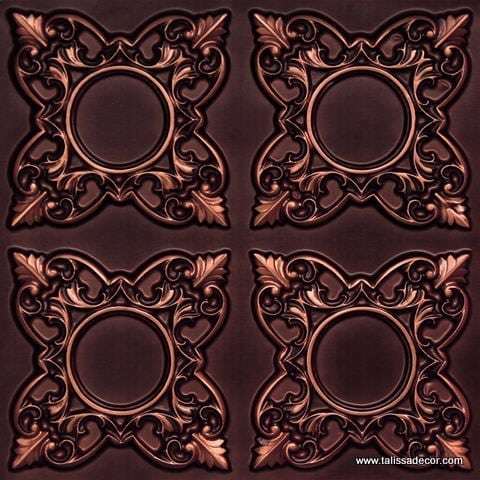 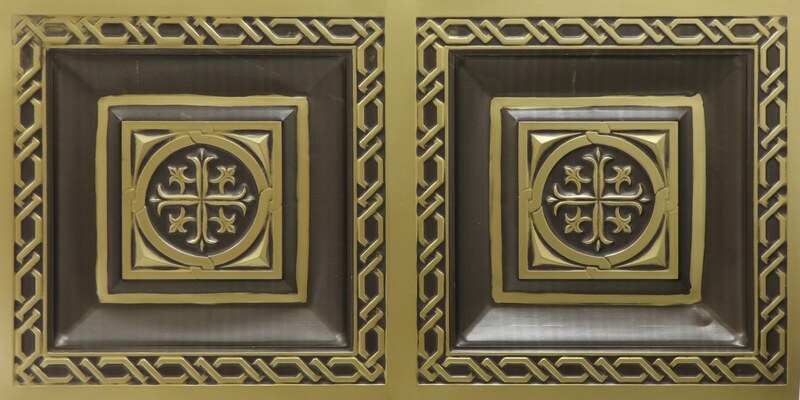 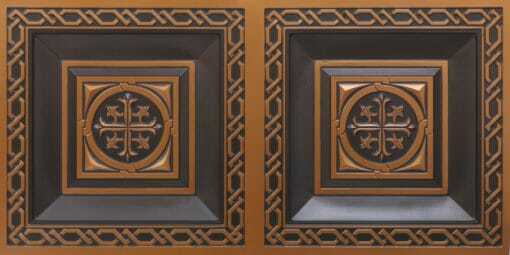 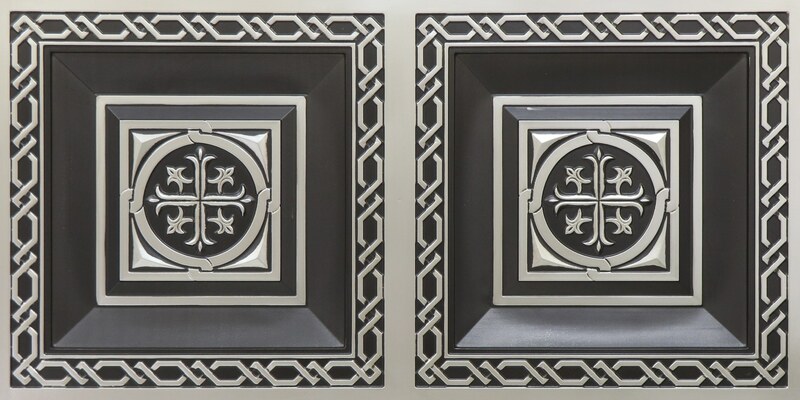 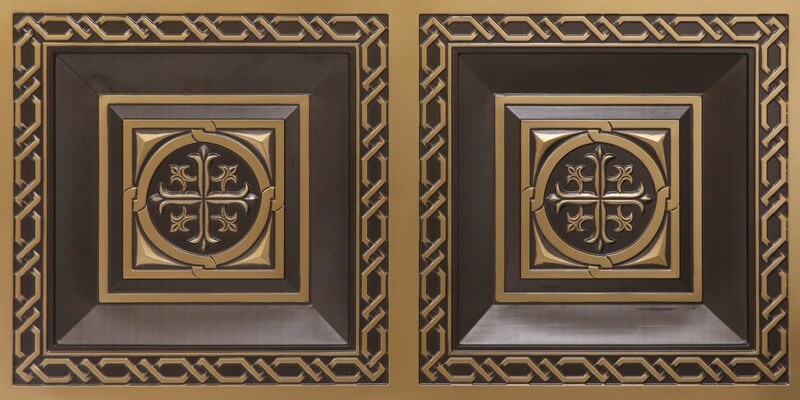 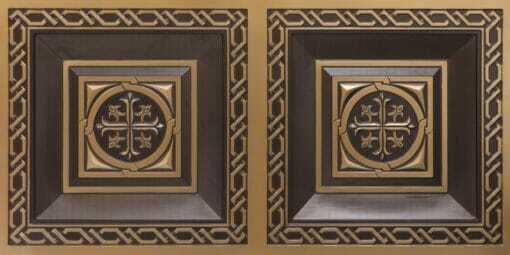 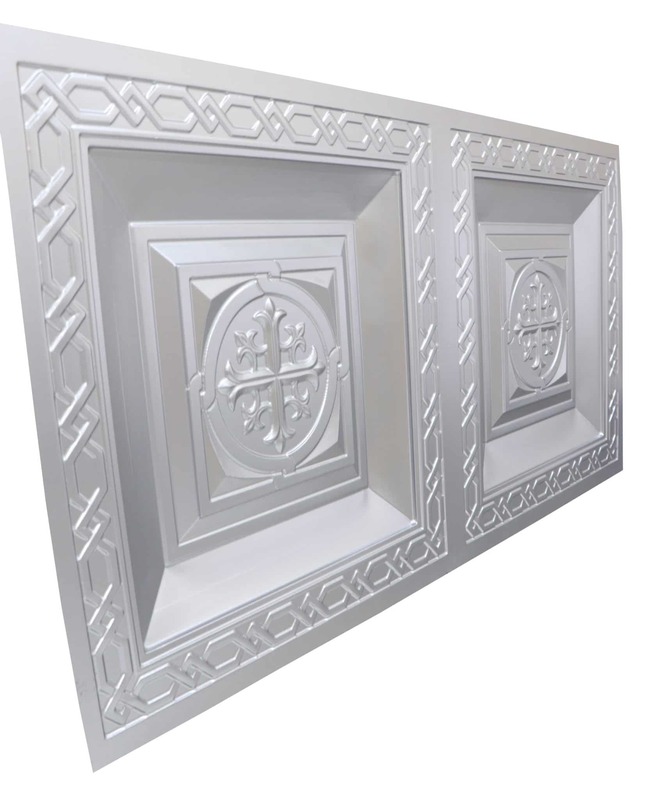 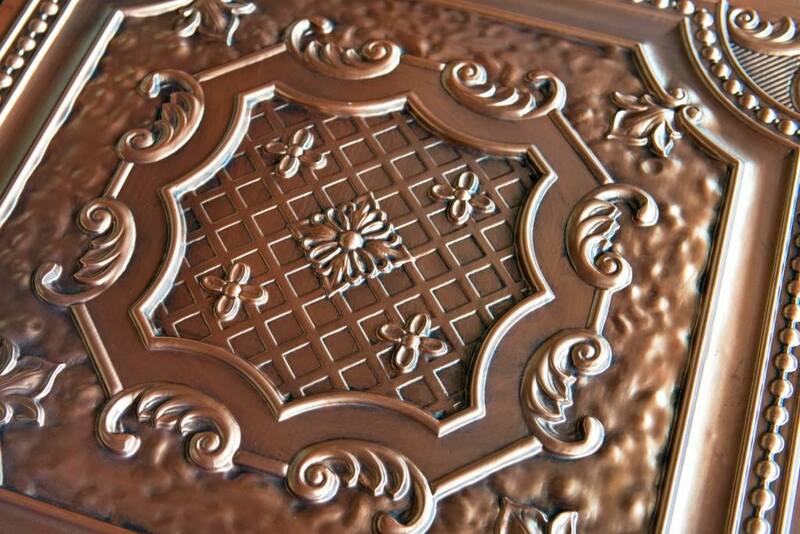 This design is specifically suited for antique and medieval style rooms. 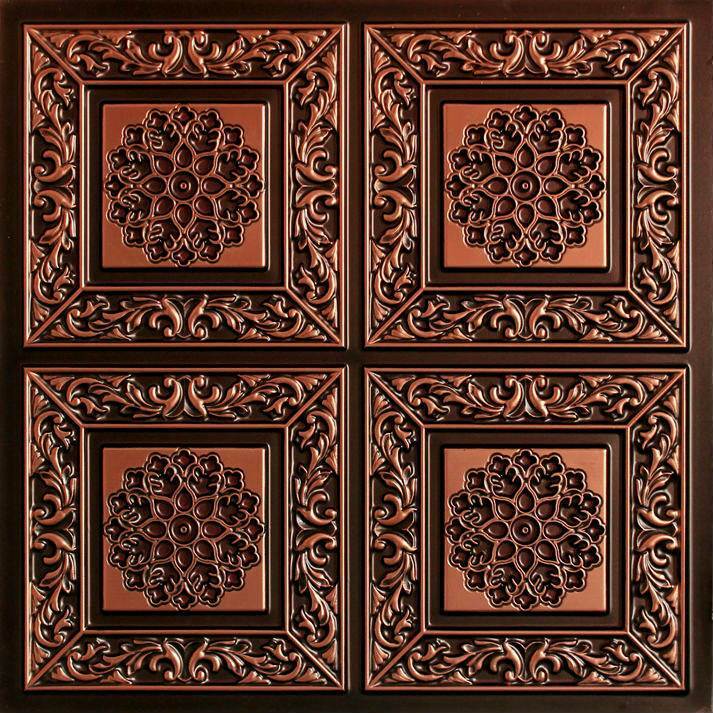 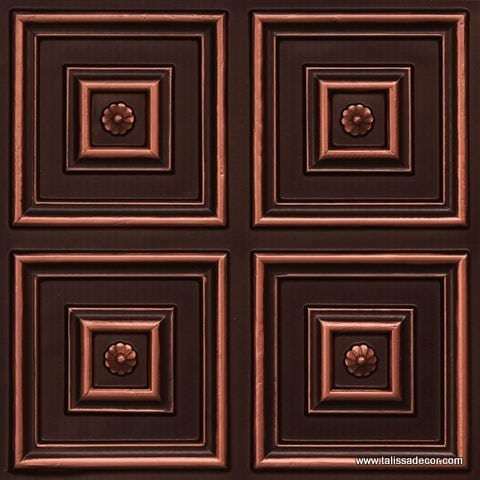 Tiles can be installed in residential and commercial settings alike. This particular design is suited for drop-in installation only. 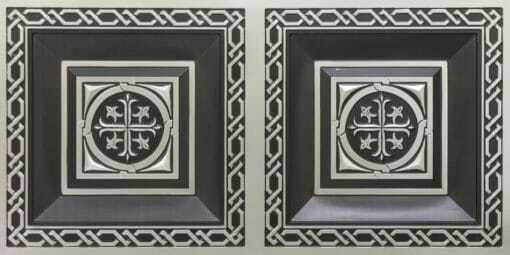 These self-supportive tiles can be installed in the standard 2’x4′ grid system – drop in method. 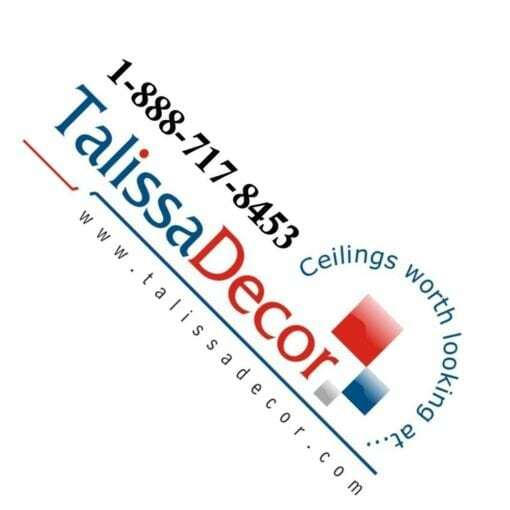 There is no need to hire a contractor since installation does not even require any previous experience.